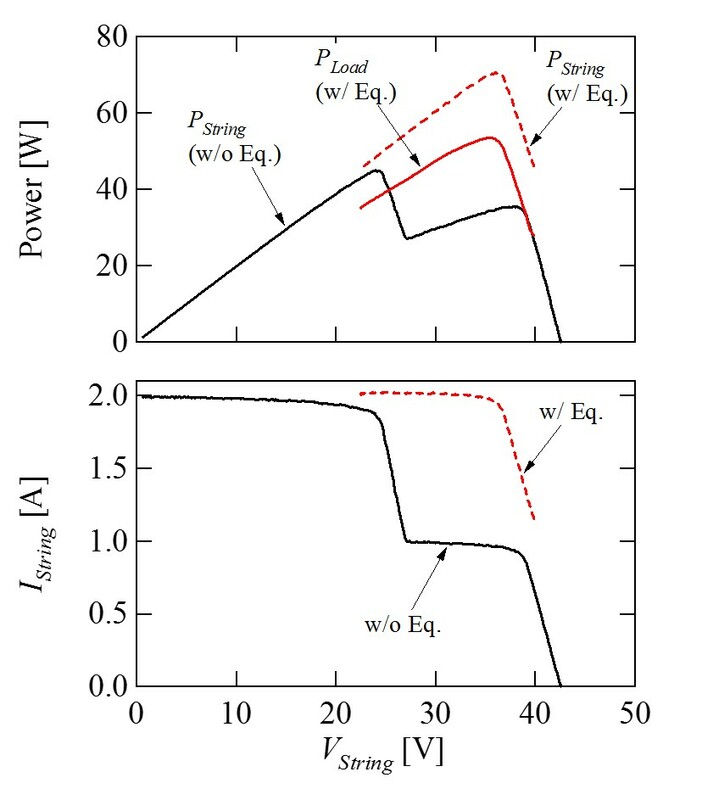 Photovoltaic (PV) systems require not only the main converter for PV panel control but also a PV equalizer to preclude partial shading issues. 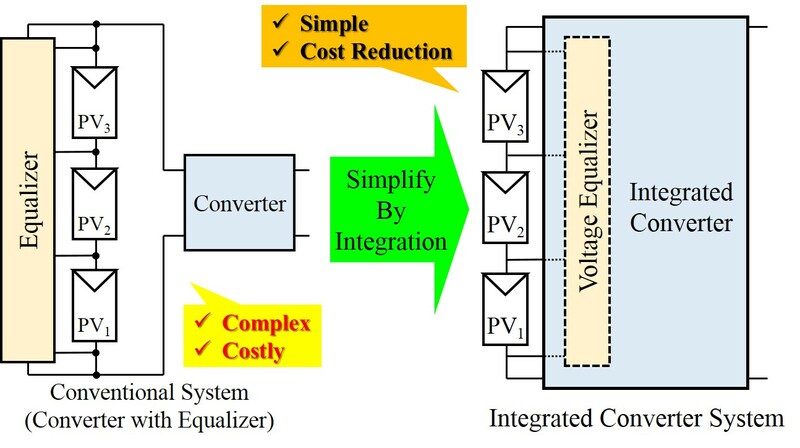 In other words, two separate converters are necessary, increasing the system complexity and cost. 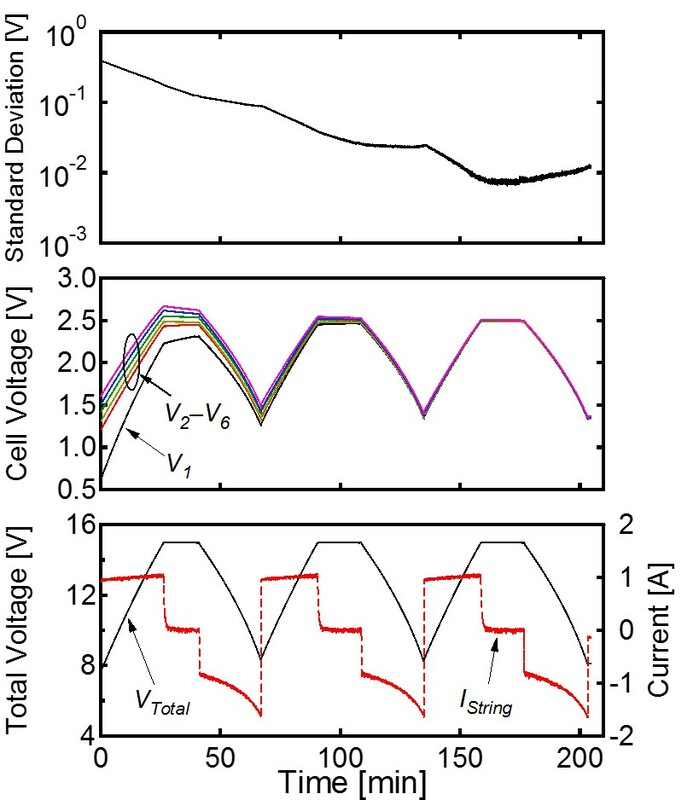 Similarly, energy storage systems require a cell voltage equalizer in addition to a charge-discharge regulator, likely resulting in cost increase and system complication. 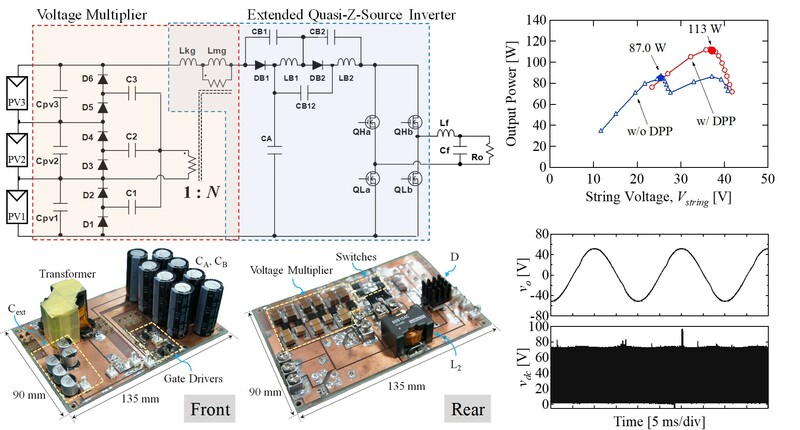 We propose 'integrated converters' that combine the main converter and PV equalizer or cell voltage equalizers. 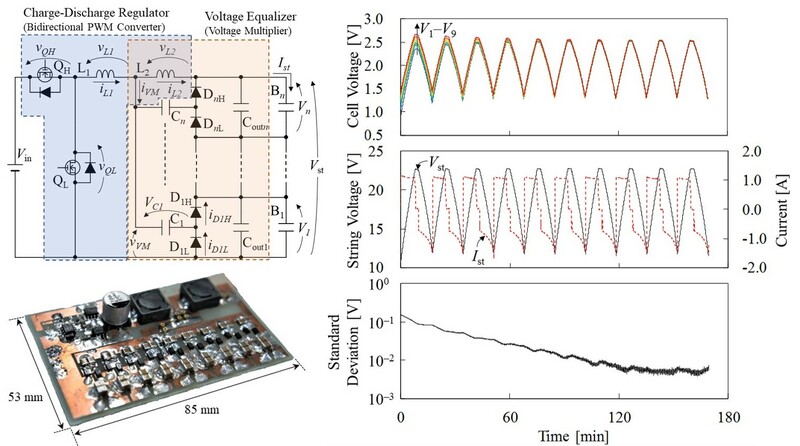 The main converter and equalizer can be integrated into a single unit with reducing the numbers of switches and inductors, achieving not only system-level but also circuit-level simplifications. Some collaborative research projects on the innovation integrated converter are underway.